Craft the engineering vision, and own the technical landscape, for a major domain in the world of logistics that powers global trade. Design systems that represent the real-world intricacies of logistics entities, such as cargo, routing, customs, and pricing. Work closely with business partners and product managers to distill complex business problems into elegant technical solutions. Build and launch products rapidly and incrementally. We ship to production dozens of times per day. Figure out the most efficient way to pack our 747 freighter. Determine, in real time, the cost to move freight between any two points in the world. Automate archaic filing processes and save the operations team thousands of phone calls per week. Manage and track fleets of trucks as they pick up and deliver cargo. Deliver supply chain insights to logistics teams via a world-class analytics experience. Predict capacity on container ships and match cargo to space on those ships. Bring trade to everyone in the world. 6+ years of experience writing software, and a strong engineering background. A love of simple, well-tested code that is easy to extend and hard to break. The ability to convey technical ideas in common terms to business partners, product managers, and engineers alike. A bias for action. When you see a problem, you solve it. Non-optional: an aptitude for learning quickly. Flexport’s mission is to make global trade easy for everyone. We are re-making a trillion dollar industry that touches every person on Earth, which means solving some of the global community’s most complex challenges. We are looking for makers who love learning, are passionate about collaborating, and desire to build solutions with a global impact. 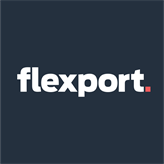 Want to get notified about new jobs at Flexport?